Crude oil production from the Organisation of Petroleum Exporting Countries increased last month as Saudi Arabia pumped near-record volumes to make good on a pledge to consumers that demand would be met. The kingdom’s oil production grew by 230,000 barrels a day in July to 10.65 million barrels per day. This is just shy of an all-time peak reached in 2016, according to Bloomberg’s survey of analysts, oil companies and ship-tracking data. Higher crude output from the Saudis, along with Nigeria and Iraq, pushed up total production from the Organisation of Petroleum Exporting Countries by 300,000bpd, offsetting losses from a spiraling economic collapse in Venezuela, political clashes in Libya and the onset of US sanctions against Iran. The group’s 15 members, which now include Congo, collectively produced 32.6 million bpd. Saudi Arabia’s production increase shows it’s delivering on promises to prevent prices from damaging the global economy after Brent crude reached a three-year high above $80 a barrel earlier this summer. The kingdom has been under acute pressure from President Donald Trump to open the taps as he chokes off exports from Saudi’s political rival, Iran. When OPEC met in June, the organisation agreed it had been cutting supplies excessively and should restore output to 100 percent of a target set in late 2016. With the production increases made since then, they’ve succeeded: compliance was at 104 per cent in July. However, the organisation is bitterly divided on the interpretation of the June agreement. While the Saudis and their Gulf allies said they would increase production to make up for countries unable to, Iran argues that they’re violating individual country targets and ultimately betraying the organisation. Although the sanctions don’t officially take effect until November, Iran is already seeing customers flee as the US imposes penalties on buyers after Trump quit a nuclear accord with the country. The Saudi policy appears to be helping cool prices in the way sought by President Trump. 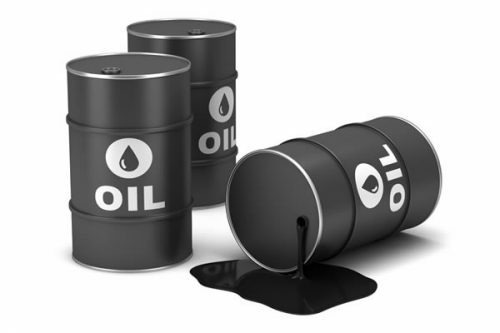 US crude futures slumped last month by the most in two years, and traded just below $68 a barrel on Wednesday on the New York Mercantile Exchange. OPEC is set to reveal its July production figures in its closely watched monthly oil market report August 13. The producer group on June 23 agreed with Russia and nine other allies on a one million bpd output increase to head off any supply shortages emerging from US sanctions on Iran and Venezuela’s continued decline, among other market disruptions. OPEC has not said how those extra barrels will be allocated among its members. He added that he was optimistic that crude production in the Neutral Zone shared by Kuwait and Saudi Arabia could resume soon.